Here is the last of the masculine thank you cards. Here's another masculine thank you card. Ashlee Forsher and others are hosting the first annual summer stamping and scrapbooking consignment sale! 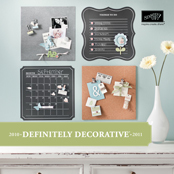 They will have items for all stampers and scrapbookers like paper, Sizzix, punches, stamp sets, inks, stickers, embellishments, Cricut, embossing, specialty items and more! Pre-sale for consigners: Thursday, May 29, 5-7 p.m.
Sale opens to public: Friday, May 30, 9-2 p.m. Half-price day: Saturday, May 31, 9-2 p.m.
Consigners pick up items: Saturday, May 31, 5-8 p.m. Please email Ashlee for more information, including directions. 25% Off Large Monogram Stamper! 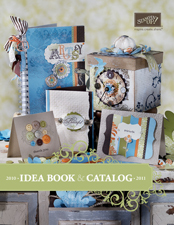 I just visited the JustRite Stampers blog to see who won the blog candy (wishing it was me, of course!) and saw that they are offering 25% Off the Large Monogram Stamper through Wednesday, May 28, 2008. Do not miss out on this! This is the C-45 Large Monogram Stamper that I have used on all of the monogram cards and stationary posted on my blog. Here are the details from their blog..."Due to the overwhelming response to our blog candy contest we would like to offer you a 25% off Coupon to be used on the Large Monogram Stamper which is normally priced at $34.95 in our online store, www.Justritestampers.com. Enter the code MONOGRAM at checkout and 25% will automatically be deducted from your purchase of the Large Monogram Stamper. This coupon will expire at midnight (Central Time) Wednesday, May 28th and is only applied towards the purchase of the Large Monogram Stamper. After you enter the code MONOGRAM you need to click on the arrow next to the box and it will alter the price." My SIL graduated (again) with some type of degree so now she can be a Nurse Practioner once she passes her exams in a month or so. We hardly ever get to see her because of the hours she works and that she lives almost 4 hours away. TODAY we get to see her!! I know my boys are excited. I made her a set of stationary (flat cards) and lined envelopes to match. I hope she likes them! We were supposed to go to a graduation "open house" this afternoon for the son of one of my friends. I realized right before we were about to leave that I had forgotten to make a card so I made the most manly card I could think of (in 15 minutes). I ran the Close to Cocoa cardstock through the Cuttlebug and then I sponged Chocolate Chip ink over it (and over the twill tape and edges of the card). It was less messy than inking my Cuttlebug folder like I did here. My Mom and sisters were at Tea Leaves and Thyme for lunch over the weekend (for a late Mother's Day celebration). While we were eating a party for a bridal shower or baby shower arrived. One lady had an adorable gift bag with her. I thought it would be perfect for a card. I hope you like it as much as I did!